THE new Beauty and the Beast movie might have broken box-office records but for many, there was someone missing — Angela Lansbury, Mrs Potts in the 1991 version. However, she is, of course, a huge favourite all over the world for a much-different role. 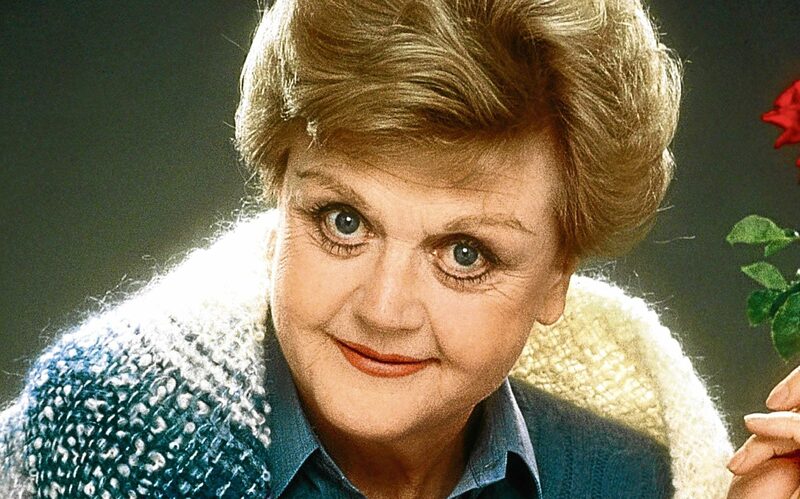 Murder, She Wrote, that hugely- successful TV show, is only a small part of the story for Angela, the girl who followed in her Irish mother’s footsteps and made it very big indeed in Hollywood. “I was born in London but I’m very proud of my Irish heritage,” she said. “My grandmother was from Northern Ireland but we met up in Cork every year for holidays and we used to spend the whole summer there when my father died. “In fact, I still have a home in Cork. Angela was born in 1925 just a stone’s throw from Regent’s Park in London and her family tree includes some very fruitful branches. Her grandfather was the founder of the Labour Party, George Lansbury. Her father, Edgar, ran a family timber business but was also a political aide to her grandfather. Her mother, Moyna, was indeed an actress born in Ireland. The family tree continued to blossom into all kinds of interesting diversions, especially when Angela’s step-sister, Isolde, married Peter Ustinov. 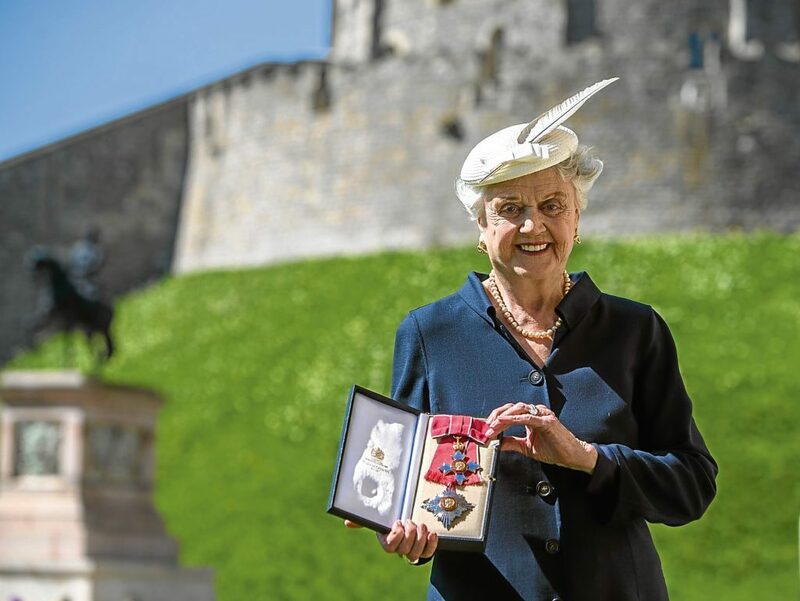 The star-studded branch of the family doubtless belongs to Angela, whose career might never have started had it not been for the Second World War. “My dear father died in 1934 and that left my mother to take care of my sister and our twin brothers. She had given up her career to become a mum but tried to revive it when she became breadwinner,” said Angela. “The war brought havoc. For us, a bomb put paid to the timber business, and we were penniless. “We were evacuated to America and that meant a complete change to our lives. “My mother had sent me for drama training when we were in London and encouraged me to pick up the pieces in the States. “There was no overnight success, though, and my mother continued her career to pay our way. “When I was 16, my brothers went off to boarding school and I went to Hollywood to join my mother who had been working there. “I got a job selling cosmetics in a department store, so that obviously helped with our income and during my spare time, I was chasing every chance of getting acting work. 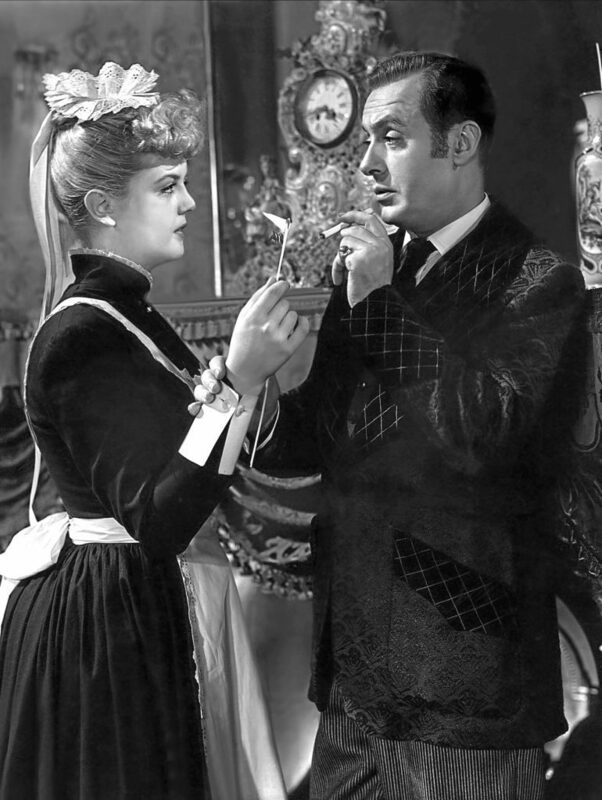 “It was Louis B Mayer, then a big name in Hollywood, who saw a screen test I’d done and hired me for Gaslight with Charles Boyer, Ingrid Bergman and Joseph Cotten. What a launch it was, with a film debut that saw her nominated for an Oscar. The 1944 version of National Velvet followed and then the films came thick and fast — Picture of Dorian Gray, Hoodlum Saint, The Harvey Girls. 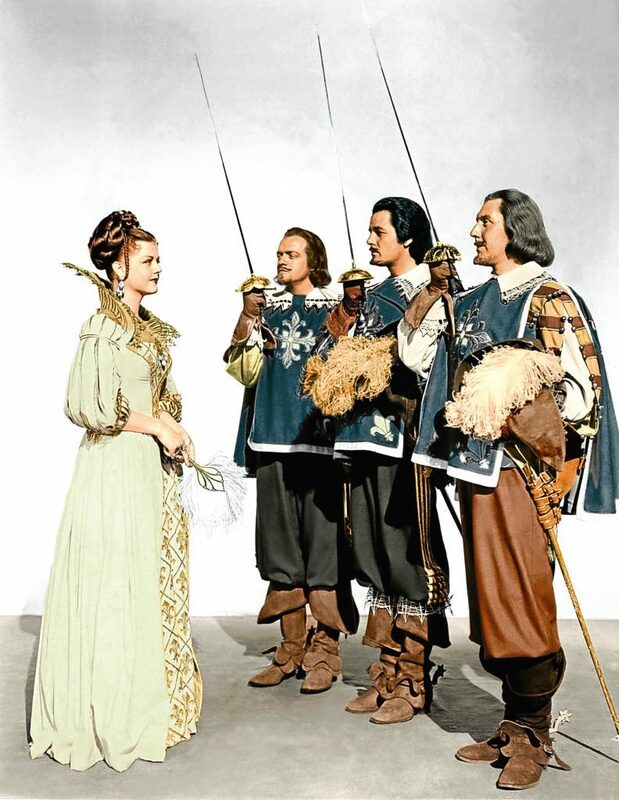 The 1948 version of The Three Musketeers and Samson and Delilhah the following year were just a few of the 14 films and TV specials in which she appeared during the 1940s. “After the war, the entertainment industry was booming and the cinema was really busy,” she said. While her career was blossoming, her private life had its turbulence. She married Richard Cromwell but within a year, he admitted that his preference was for homosexuality. In 1949, she married a fellow Londoner Peter Shaw. They returned to England for a while but could not make a go of things. “My career had taken a downward turn in the 50s,” explained Angela. “There were still movies to make but they were mostly less than outstanding and I was delighted to get a break on the stage when I was asked to play in Hotel Paradiso on Broadway. That was a great thrill. “Everyone wants to play Broadway and here I was with a firm offer. In fact, her acting, singing and dancing talents have earned Angela countless accolades and awards. 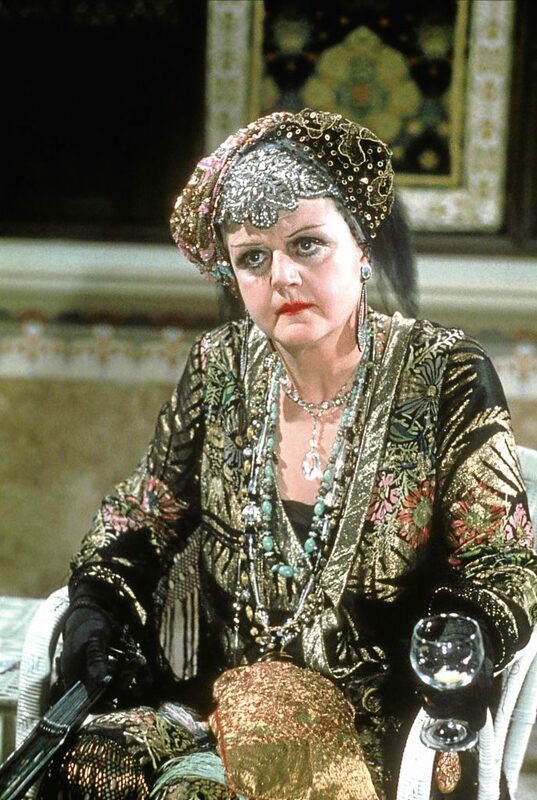 She’s appeared at the National Theatre in London as the Queen in Hamlet, sung and danced through Bedknobs and Broomsticks on screen and Mame on stage, played an alcoholic author in Death On The Nile and gained three Oscar nominations. She’s also been in great demand for star voiceovers, so little wonder that Angela received the Oscar Hammerstein Award for Lifetime Achievement in Musical Theatre. That followed her Olivier Award-winning performance in the theatre show Blithe Spirit. “I love the stage and being in front of a live audience,” she warmly explained. “You miss that on a film set. But it was Murder, She Wrote which probably made her an international star. “It was first seen on television in September, 1984, with a two-hour pilot and it was an immediate success,” said Angela. “I was amazed at how successful it was. I never believed it would run for 12 years. “I would not want to take anything away from Murder, She Wrote but when you are the principal in something like that you have to work incredibly hard to help keep it fresh. “My life totally revolved around it. There was hardly any time off and certainly no time or energy for doing anything else. In the latter years of the show, Angela was involved in the production, too, and she found it a great wrench when it was finally decided to call an end to the series. “I was in genuine tears doing my last scene,” she said. “Jessica Fletcher had become so much a part of my life, it was difficult to come to terms with it being all over. But what does she think of the new Beauty and the Beast? “I was surprised to hear they were making it,” she said. “I couldn’t understand why they felt the need to. “The one we did is still very, very popular. I wouldn’t want to say which is better because they are different. “Essentially, it is a great story and there is room for more than one version. I can only say I was and still am very proud of our production. While Hollywood still beckons, Angela calls Ireland home these days. She lives in a large house on the coast and enjoys the pace of life although she is always looking for an opportunity to do something special. “I inherited my mother’s energy. There might be a good few years behind me now but I am really only concerned with those in front of me,” she added. “I still like a glass of wine and take vitamins — perhaps that is what keeps me going.